A little over a year ago I lost my beloved dog Maggie May. 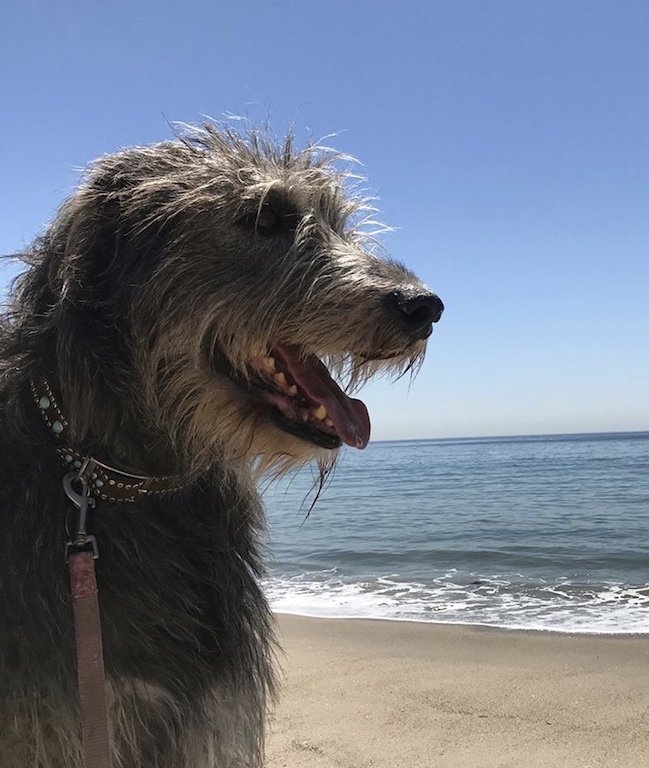 She was the oldest of my Irish Wolfhounds, a gentle giant of light and comfort in my life. Her passing from a sudden illness was swift—and truthfully, shocking—as I cradled her lovingly in my arms. I cried sorely as I said goodbye to her, imagining her sweet spirit being guided home by angels. And today, I relived that shock and sorrow when my dog Archie suddenly passed away from respiratory failure. Within the span of 13 months, I have lost more than I care to recall. Truly, I am weary with it all—between losing Della and Maggie last year and Archie, my brother and then the fires this year—it seems at times too much to comprehend, let alone bear. In the confusion and heartache of it all, I’m trying to stay focused on my blessings and trust in God as I lean into His ever present comfort. The below is an article I wrote at Maggie’s passing last year. Today, in light of Archie’s death, I wanted to resurface it in honor of both of them, and in honor of the love only a pet can give. 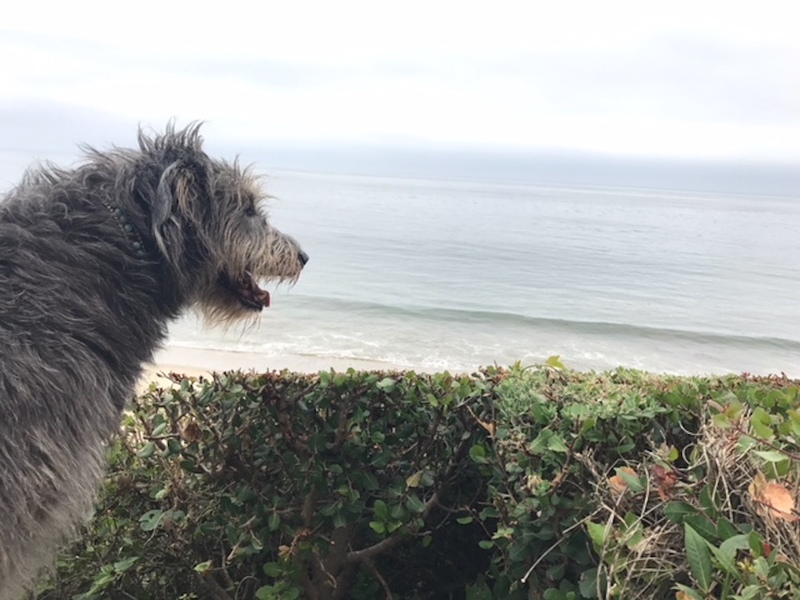 In the heartache of losing Maggie, I’m reminded of what Aeschylus once said, “There is no pain so great as the memory of joy in present grief.” Perhaps you can relate? Upon experiencing the loss of a pet, we can each feel this undeniably acute pain, but in tandem, overwhelming gratefulness—even joy—at the effect our loved one life had on our own. The marrying of these two emotions is unlike anything we have ever quite felt before. She had a direct line to my heart. Pets can do that, can’t they? They, unlike any other, can build bridges to our hearts and with their tender, trusting love, steer us towards happiness. It makes one wonder, why? After all, how often does one experience truly unselfish love? How often does one encounter a faithful source of comfort, incapable of disappointing? Where does one find such a thing? The answer? In a pet. It was Maggie’s love and faith that stole my heart. She was lovely, loyal and the truest of fur babies. An unceasing joy to be around and a beautiful teacher of life to those wise enough to observe. I will be forever grateful to her for the gifts she brought, not only into my life, but also into the lives of my family. She taught us the reality of unconditional love and abiding loyalty. She always expected the best from me. Have you ever heard the expression, “Be the person your dog thinks you are?” Maggie thought I was better than anything or anyone on earth and that challenged me, continually humbling me and propelling me to become a better version of myself. I wanted to be the person she saw. Losing her was a sad day and many tears have been shed, but I am so grateful for the time we had together. She had a direct line to my heart. Pets can do that, can’t they? They, unlike any other, can build bridges to our hearts and with their tender, trusting love, steer us towards happiness. Loving is a choice and love is a gift. We risk when we love, knowing that heartache may come. The cost may be high, but unshakably worth it. My daughter, Reilly, rang from university to say goodbye to Maggie. It was hard for her to be so far from home, unable to hold Maggie as she said goodbye. I put the phone to Maggie’s ear and it broke my heart to hear my child weeping for her dog as Maggie looked around for my daughter, recognizing her voice on the phone. As a parent, you wish you could protect your kids from the pain of loss. But this is part of the cycle of life, the bittersweet goodbyes to those we love. I might not know how to say goodbye or how to fully heal, but today I turn my thoughts from loss to gratitude. I choose to remember all the good times we had together and all of her goofy, perfect ways. Loving is a choice and love is a gift. We risk when we love, knowing that heartache may come. The cost may be high, but unshakably worth it. So, remember to love today. Whether it’s our fur babies or our family and friends. Let’s gather them close and tell them we love them. It’s all a blessing. It’s all a gift. 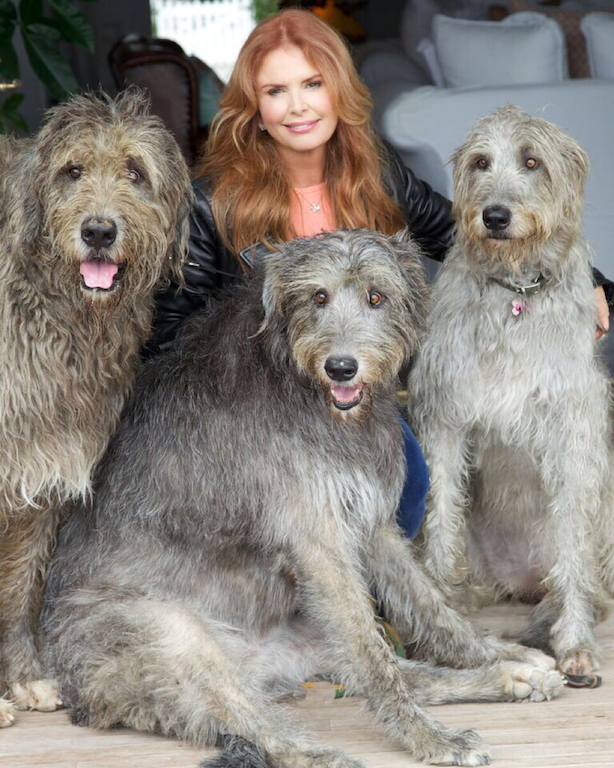 Godspeed, Maggie May and Archie. Thank you for all the good times.